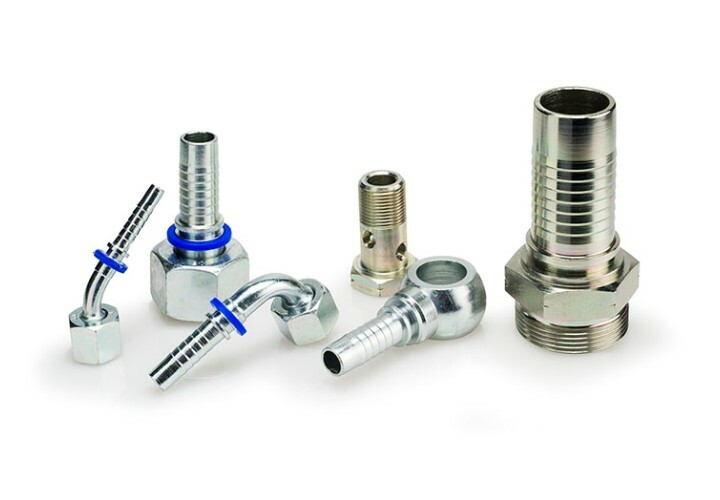 The EC-profile or universal profile is the most common hose coupling. This profile can be used for a whole series of hydraulic hoses. Steel or textile reinforced rubber hoses, thermoplastic high pressure hoses, Teflon hoses, can all be swaged with hese fittings. 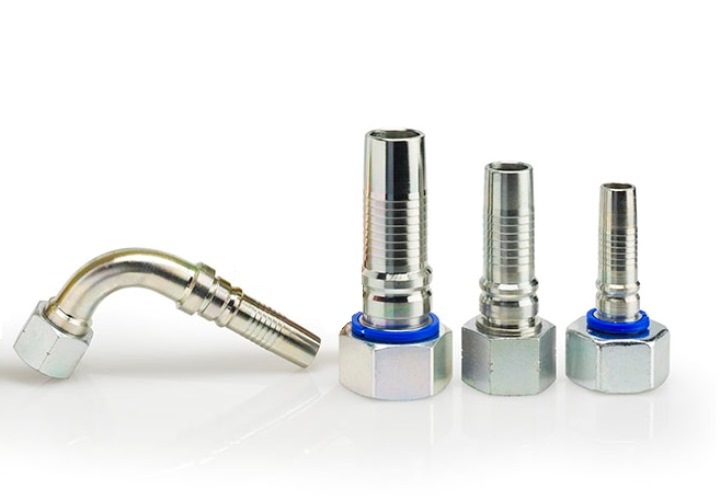 Also, a width range of our industrial hoses can be assembled by using these universal profile couplings. 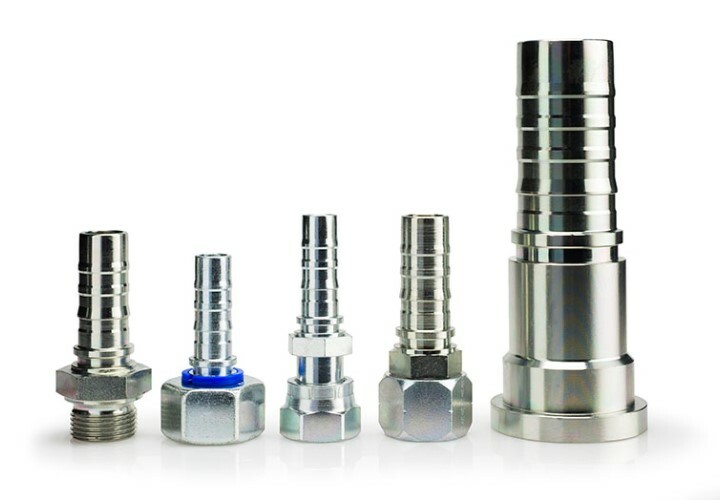 To comply with the range of hoses, we use different types of metal ferrules. Our EH-range for applications with medium and heavy pressure loads.